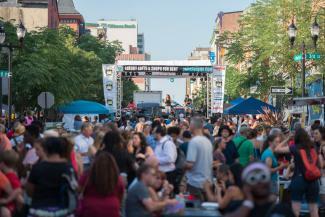 In a city with as much history and culture as Wilmington, Delaware there is almost always a festival taking place. This has earned us the moniker, “City of Festivals.” The spring season gets festival season rolling and the music doesn’t stop till August. Here are seven music festivals that are a perfect excuse to plan your next weekend in Wilmington. Six different bands will be taking the stage at Tubman-Garrett Riverfront Park on Saturday, May 20 for Bromberg&apos;s Big Noise. This one-day Americana festival will feature performances by the David Bromberg Big Band, the Chris Robinson Brotherhood, Dr. John, Anders Osborne, Larry Campbell & Teresa Williams, and Front Country. There will also be plenty to eat and drink with multiple food trucks in attendance and cold beer from Dogfish Head, the event’s official beer sponsor. The Clifford Brown Jazz Festival is always one of the biggest festivals to hit the streets of Wilmington each summer, and this year will be no different. We don&apos;t have confirmation on the specific performers just yet, but this event always brings in exceptional musicians from all over the globe. 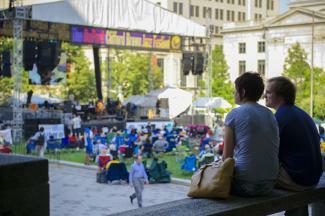 The Clifford Brown Jazz Festival is the largest free jazz festival on the east coast and takes place in Rodney Square, the heart of Wilmington’s business district. Make plans now for this multi-day event. The Ladybug Music Festival was started in 2012 as a way to celebrate women in music and bring a fun event to the businesses and residents of Lower Market Street in downtown Wilmington. The event is managed by Gable Music Ventures and has grown from a few hundred people that first year to more than 7,000 in 2016. This year looks to be the biggest Ladybug Music Festival to date, spanning two-days. 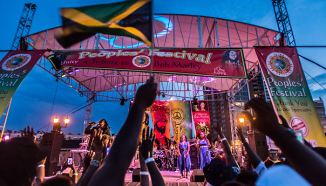 Another popular festival that attracts musicians and fans from across the country to Wilmington each and every summer is the People&apos;s Festival 4Peace, which pays tribute to the legendary Bob Marley. Wilmington was the first place that Marley called home upon moving to the United States. The event is held at Tubman-Garrett Park and typically features an impressive collection of reggae musicians. 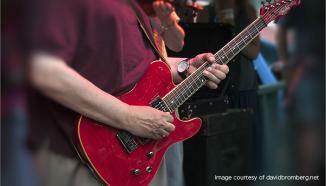 The final festival of the summer is the Riverfront Blues & Bar-B-Que Festival, which is typically held in early August. 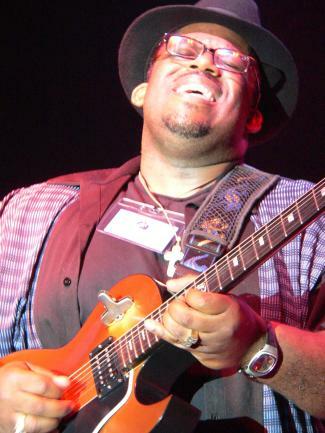 This will be the 17th year that the festival has brought the combination of soulful blues music and delicious smoked flavor to Tubman-Garrett Riverfront Park. Just like each of the previous years, the festival will surely feature a collection of amazing musicians and some of the best amateur cooks in the country. Whether your passion lies with opera and Bach or with reggae music and BBQ ribs, there is a festival to suit your fancy coming to Wilmington this spring and summer. Attend one or attend them all, we’re always happy to have you visit. Request a free visitors guide or view our digital visitors guide now.